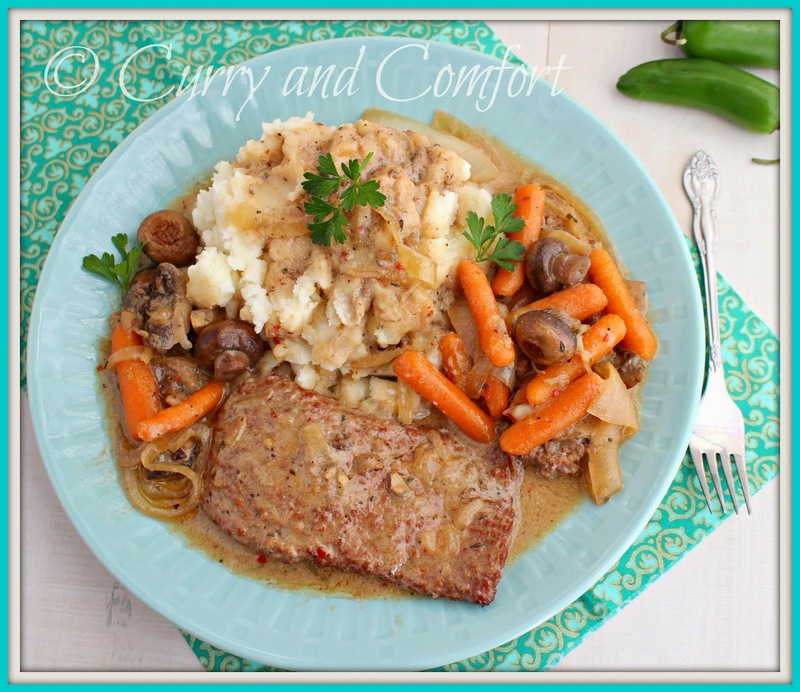 My husband and kids are big fans of meat and potatoes meals I made this easy slow cooker steak with mushroom gravy and a big pile of mash potatoes for dinner recently. They could not get enough of it, especially since the steak was so tender you could cut it with a fork. I used inexpensive cubed steak so it was budget friendly too (bonus touchdown for me). 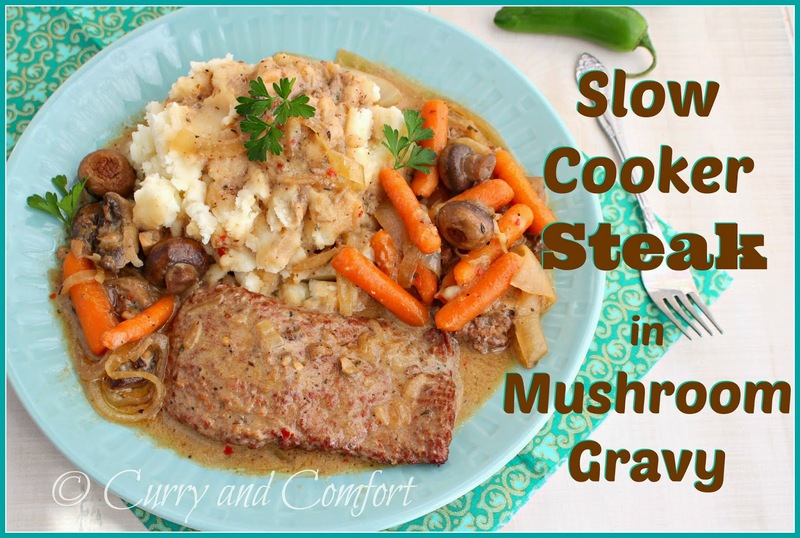 I loved how the meat, gravy and vegetables were all easily done by the slow cooker. All I had to do before I put the meal on the table was boil some potatoes to make some simple mash potatoes. This is one meal that had even the picky eaters in our home smiling during dinner. Mix flour with salt and black pepper. 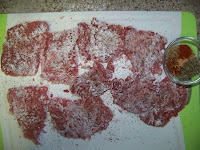 Dredge cube-steak with seasoned flour on both sides. 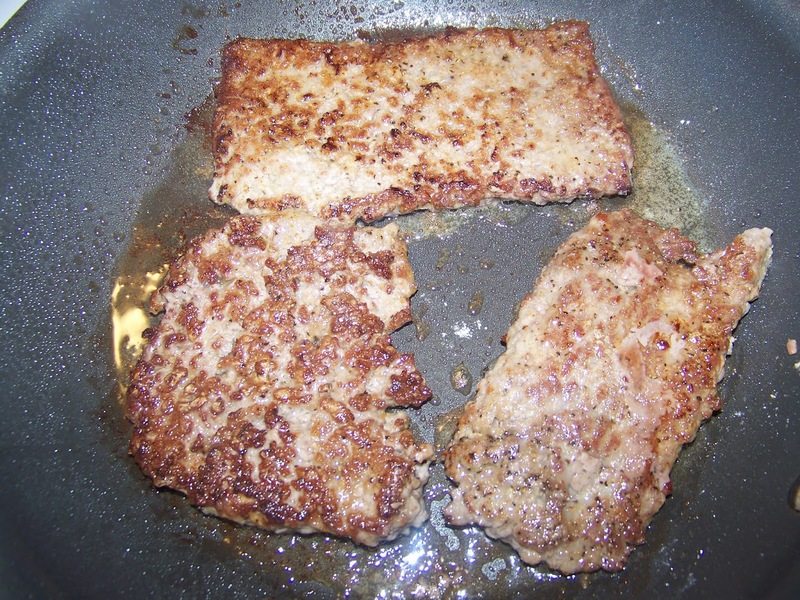 Heat a saute pan with 1-2 Tbs of canola oil and brown both sides of cube steak. 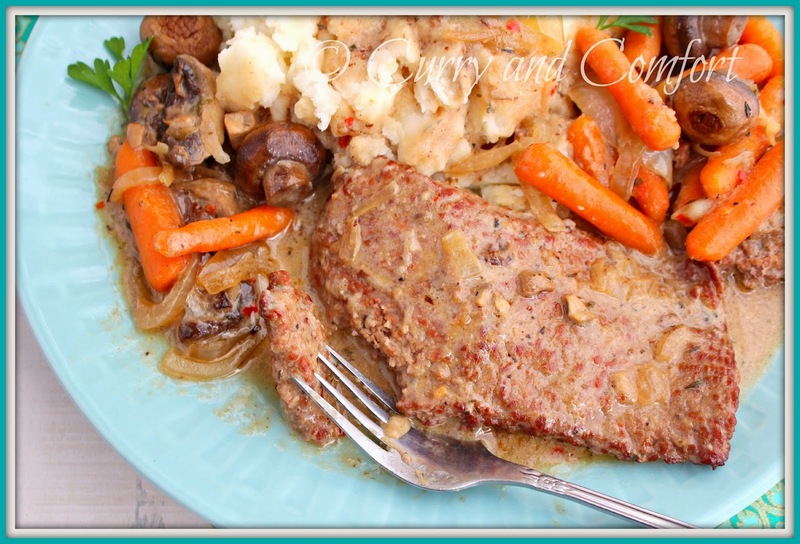 Place browned steaks in slow cooker and turn on high. 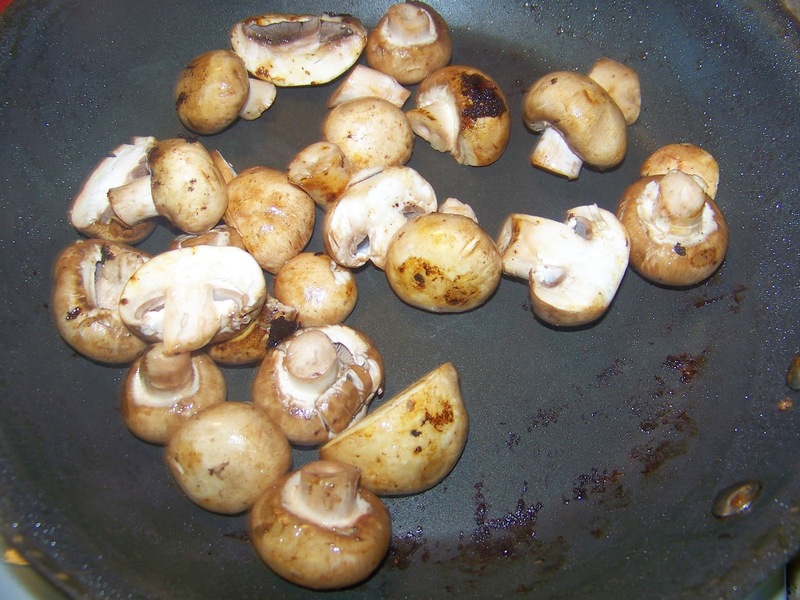 Next brown mushrooms in pan for about 5 minutes (there should be some oil in the pan from the steak, if not add 1 tsp). 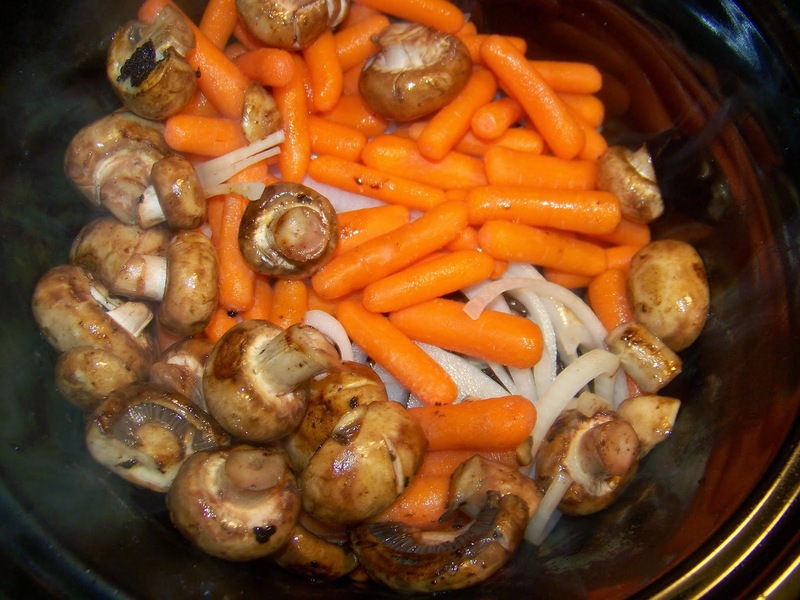 Add sauteed mushrooms, onions and carrots to slow cooker. 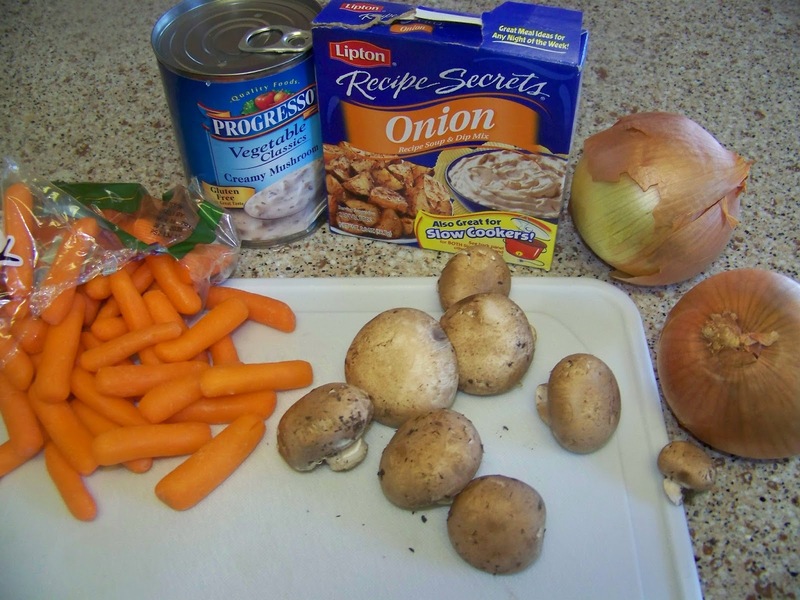 Stir together water, soup mix and condense mushroom soup, then add to slow cooker. Finally add dried thyme, red chili flakes, garlic and more black pepper. If needed add more salt. Cook on high for 4 hours. Serve with mash potatoes. Enjoy. It's been ages since we've had cube steak and this is the best reminder ever. I dont mind inviting myself to ur place, delicious platter. I love simple meals too, especially when potatoes are involved. And steak. Definitely love steak. Oh and you put it in the slow cooker? Have I mentioned I love you?! This is wonderful! 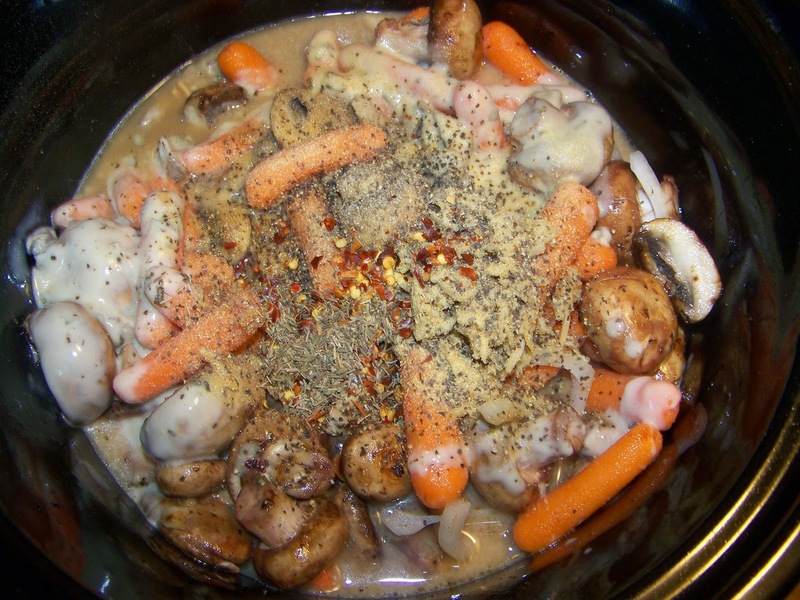 Oooh, I love the idea of mushroom gravy! What a delicious plate of dinner!!! 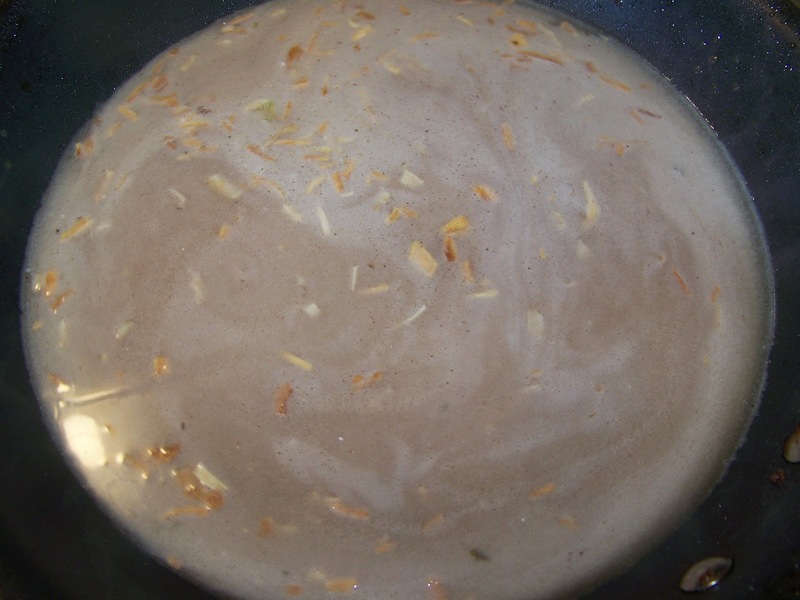 My husband would do a happy dance if I gave him a meal with gravy. I must say this looks pretty darn amazing.